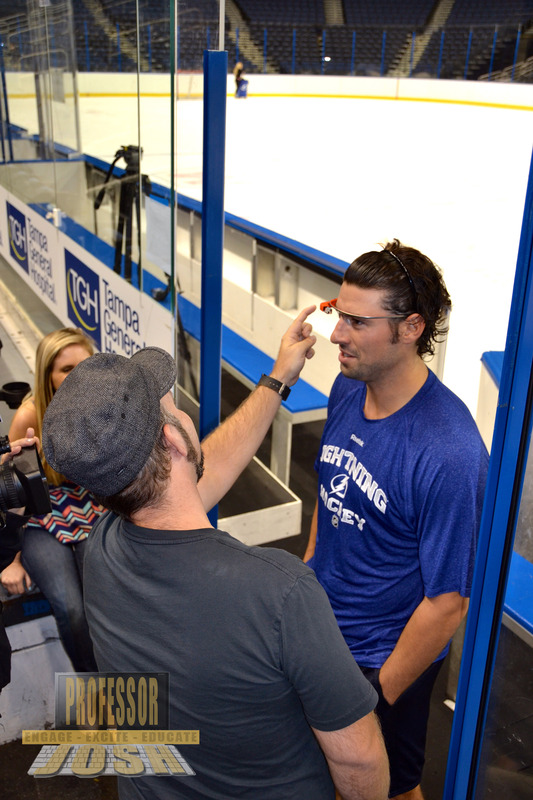 Recently I had the opportunity to visit with the Tampa Bay Lightning to let a few of the players and staff try out Google Glass for the first time. 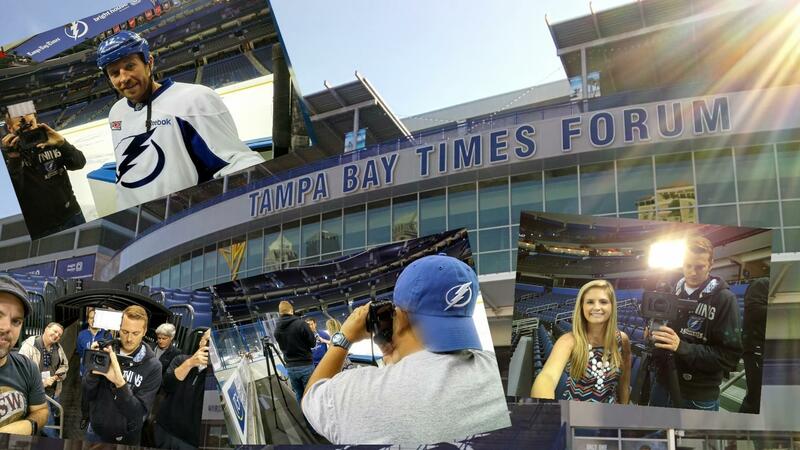 My friend Carlos and I headed down to Tampa to watch the team’s informal skate session and teach the Tampa Bay Lightning about Google Glass. It’s always great to see someone experience Google Glass for the first time. Everyone from the Lightning players, Nate Thompson and Ryan Malone, to the Tampa Bay Lightning’s CEO Todd Leiweke thought Glass was pretty amazing and saw it’s potential in professional sports. I wish we had the chance to see a few players try it on the ice. Maybe during a future visit with the Lightning, we can get some hockey action recorded on Glass. An enhanced fan experience with live videos and pictures from Glass on the ice or on the bench. Coaches accessing information about players, play books, and critical updates instantly. Recruiters accessing loads of information and retaining pictures, videos, and notes about recruits. Security and stadium staff getting quick updates and information about situations and emergencies. Fans getting updates, video playback, and extras via Glass, while not missing all the action.